On Not Taking One Breath for Granted - Donna L. Friess, Ph.D. This morning my pups and I were hiking along the horse trail and I had Josh Groban's "Granted" song crooning against my ears. The lyrics: "Don't take one breath for granted....it could all go away.... if you have a dream, chase it...if you feel hope, don't waste it..."
In the peacefulness of the dawning morning, my brain played a kaleidoscope of recent headlines: synagogue massacre, cowboy bar shoot up, historic death toll in California wildfires juxtaposed against the sudden onslaught of holiday television commercials pressing us to buy buy buy for the festive season. It would be easy to succumb to the pressure of all that. Then Groban's "Never take a single breath for granted" again resonated through my ear buds, quite literally helping me to reframe my thoughts. The grim mental pictures began to recede. 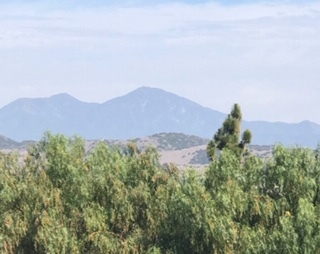 I became aware of the calls of the crows overhead, the rhythmic breathing of my dogs, and the vista of Saddleback Mountain shrouded in purple in front of me. I realized anew that we have the power to control our thoughts without diminishing the need to honor the memories of the victims. We have the power to continue to celebrate all that is right with the world. 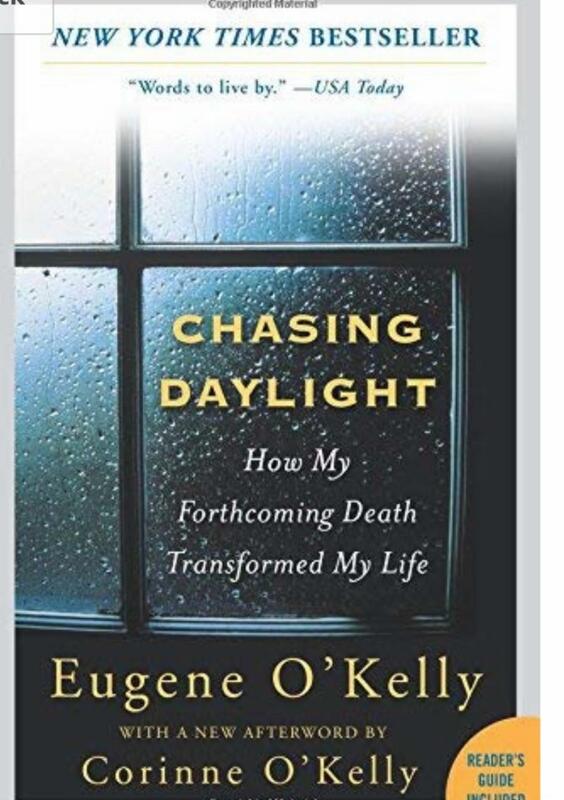 Years ago I found a book in a used bookstore in Bellingham,Washington, called Chasing Daylight.It was the true story of an extremely successful international businessman, Eugene O'Kelly, who was given just six weeks to live. The book was written during those final days. He stopped chasing dollars and began to spend time with his wife and young daughter. His story reveals a secret; he found more joy in those last six weeks, collecting precious moments, than in the forty years leading up to then. I took his message to heart and began collecting any precious moments I could. Recently my friend Mary shared one with me. It seems she started her docent tour at the mission and a little fourth grader announced that she was starving. Mary explained that lunch would be after the tour in an hour or so. As she guided her group around the mission sharing about the wine vat, the Catalan furnaces, and the padre's kitchen which boasts soot from two hundred years ago, suddenly the little girl turned to Mary and said, "I'm not hungry any more, I am full of knowledge!" Everyone within ear shot smiled. Mary knew to collect that sweet moment and even shared it with me. I think we humans are brave in the face of adversity, and that it is important NOT to take for granted the plenty we enjoy even when the news is filled with agony. I hope through the holiday season we can reflect on what is right within our own lives and with the world. Perhaps by example we can show those around us how to appreciate the fact of being alive and to honor the riches we often take for granted as Americans. Perhaps we can reach out to others in need during this beautiful season as we consider the thought that it is possible to celebrate each breath as a blessing and not take life for granted.